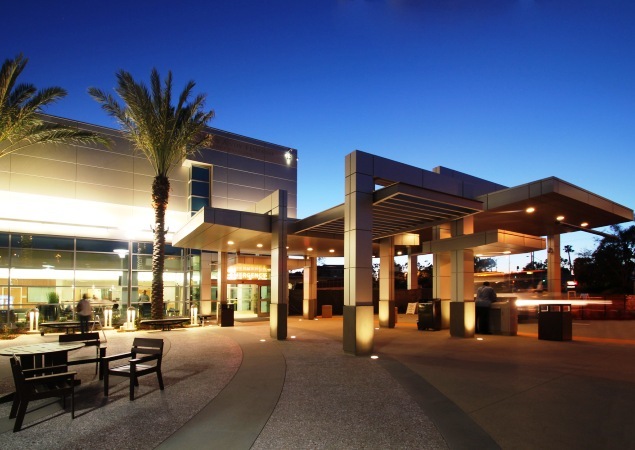 Hoag Memorial Hospital Presbyterian stands atop the list of the finest medical facilities in Southern California. To serve the growing needs of the Orange County community, the hospital sought to expand and renovate its Emergency and Imaging Departments. 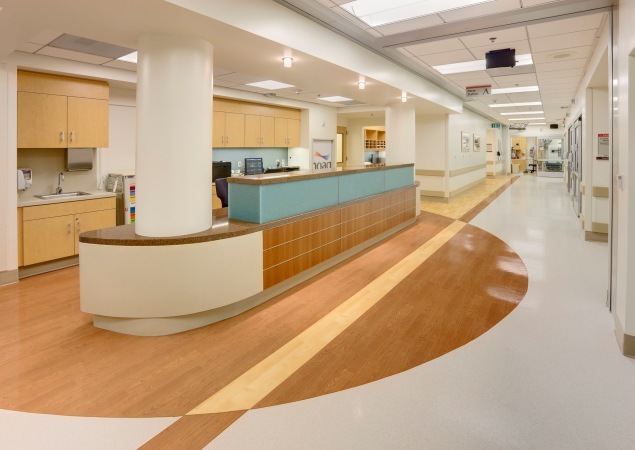 The main requirement of the project was to double the size of the Emergency Department, while maintaining a 24/7 operation of the existing bed capacity. The client also desired an enhanced entrance that would create a new identity for the facility yet still blend with the existing campus design vocabulary. The new entrance design introduces an exterior canopy, covered drop-off area and walkways, and plaza garden area with seating. A series of vertical "gateways" was created to welcome visitors and patients. The rectilinear form and the Tourmaline color of the exterior metal panels are in harmony with the existing campus. The entrance design also accommodates the existing infrastructure of a service ramp, buildings, and underground utilities. The project has progressed in multiple phases allowing the hospital to continue uninterrupted patient services during construction. 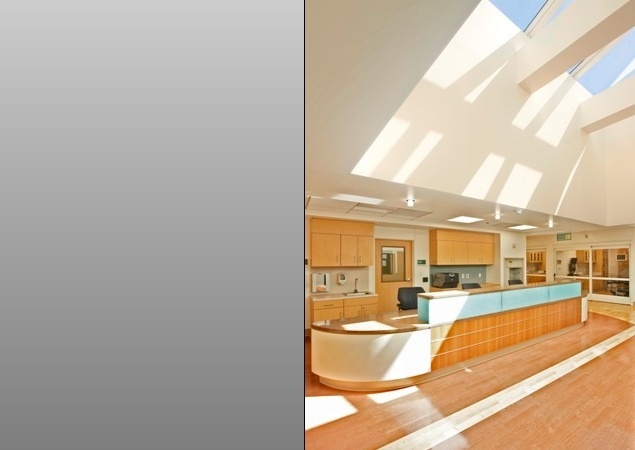 Renovation elements include an upgrade of the existing HVAC system, which was undersized for the current needs. The new HVAC equipment was located in the penthouse of the new addition, which is an economical option to support structurally, eliminating the need for upgrades to the existing columns and beams. This posed a utilitarian challenge of a housing a large penthouse over the building entry. The resolution was to create a sculptural identity with an exterior facade that resembles a Mondrian relief pattern, softening the appearance of the penthouse. 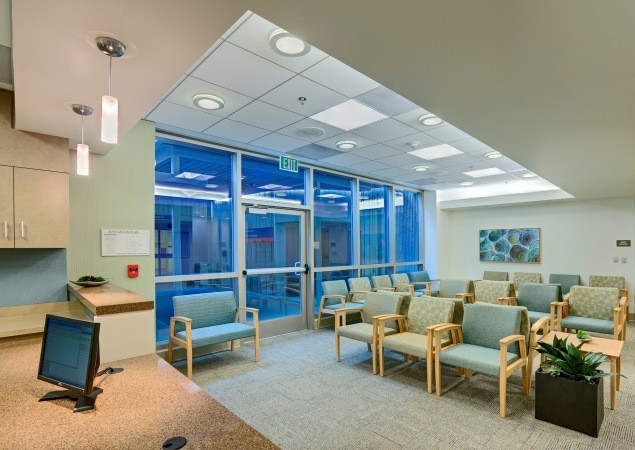 The elegant, spacious entrance area reflects the facility's dedication to patient comfort and hospitality. The main lobby design extends the horizontal and rectilinear design elements. A limestone floor, wood paneling, and stone reception desk were chosen for durability as well as aesthetics. 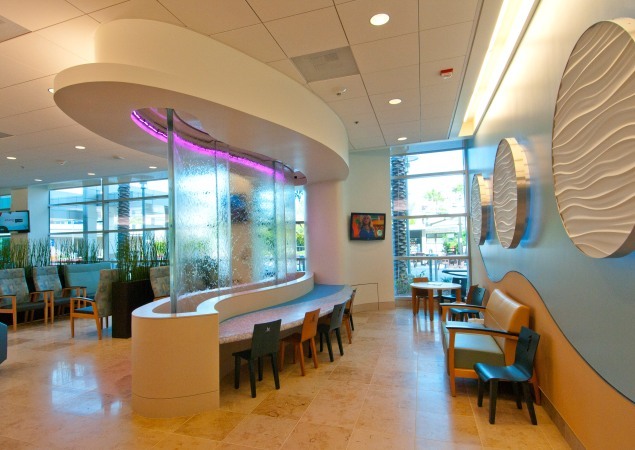 Full height curtain walls allow views to the plaza gardens, and a 16-foot aquarium is a calming focal point for patients.